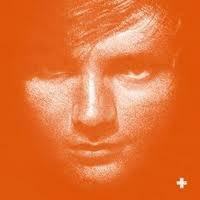 This week’s Artist of the Week is Ed Sheeran. I recently discovered Ed Sheeran’s music thanks to several tweets my friends have posted throughout the past two weeks about how awesome he is (My favorite was “Ed Sheeran’s love songs are causing me to seriously reconsider my opinions on marrying a ginger”). So this past weekend I listened to his album “+” (I pronounce it “plus”) on Spotify and by the time I’d heard every song on the album, I’d determined three things: 1) I needed to buy his album on iTunes right away 2) I had to follow him on Twitter 3) I needed to start singing his praises to anyone around that had functioning ears. The thing that I like most about Ed Sheeran’s latest album is that every song on the album is completely different; there are no duplicates or similar melodies with slightly different lyrics. As I was listening to his album through for the first time, I kept asking myself, “What genre is this considered?” He goes from fast paced songs featuring rap verses such as “You Need Me, I Don’t Need You” to songs like “Kiss Me” which is soft, heartfelt and earnest. Not only are Ed Sheeran’s songs different from one another, but Ed Sheeran himself is distinctly different from any other artist pursuing a path similar to his. His lyrics are fresh and original, his voice (with a discernible British accent) is memorable and his songs are just generally easy to enjoy. While I whole-heartedly recommend you buy his album “+” (it’s only about 8 dollars, a steal in my opinion), if you only want to buy a song or two for a test run, my top 3 are as follows: “Drunk” (warning: it will get stuck in your head), “Small Bump” (a tragically beautiful song that may require you to press pause so you can process and appreciate the lyrics) and “Wake Me Up” (a fresh and well-written love song). I don’t want to spoil the “Lego House” video for you but I highly recommend you watch it. And yes, that is Ron. You’ll understand once you watch.